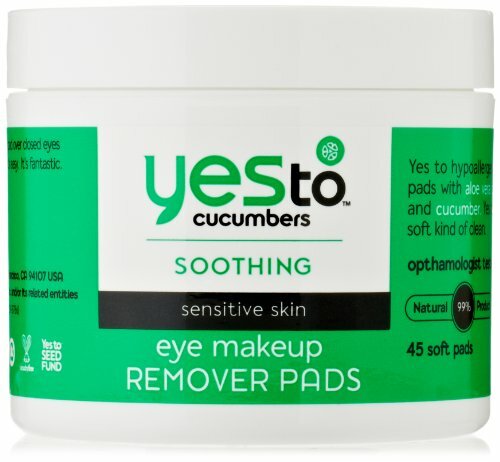 Yes to Cucumbers Eye Makeup Removing Pads are the most gentle of the gentle; a hypoallergenic formula to help you say yes to clean, bright peepers. These round pre moistened pads are the perfect shape to quickly and easily swipe across the eye area to safely and naturally remove all traces of eye makeup. Calendula, Chamomile, and Organic Cucumbers make up this cooling, lightweight formula, for a natural ‘gosh that was easy’ kind of clean.